This is a Circle of Tipu Sultan Tulwar. This sword was most likely captured at the Battle of Seringapatam in 1799, where Tipu fell mortally wounded and his troops were defeated, ending French adventurism in India. Important for its Napoleonic context. Provenance: Collection of Sir Frank Bowden at Thame Park, Oxfordshire England. 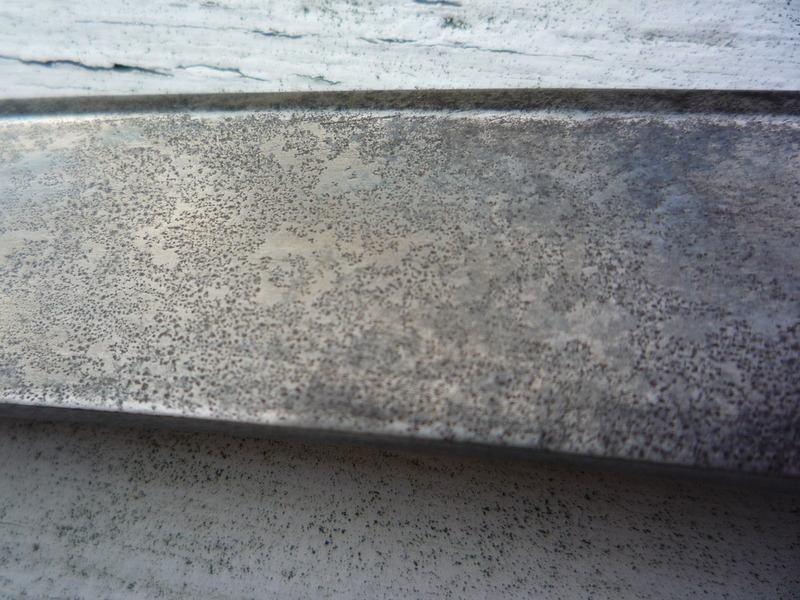 The blade is watered steel. I see none of the typical Tipu traits. What makes you think this tulwar has anything to do with Tipu? Well I am new and inexperienced when it comes to swords. 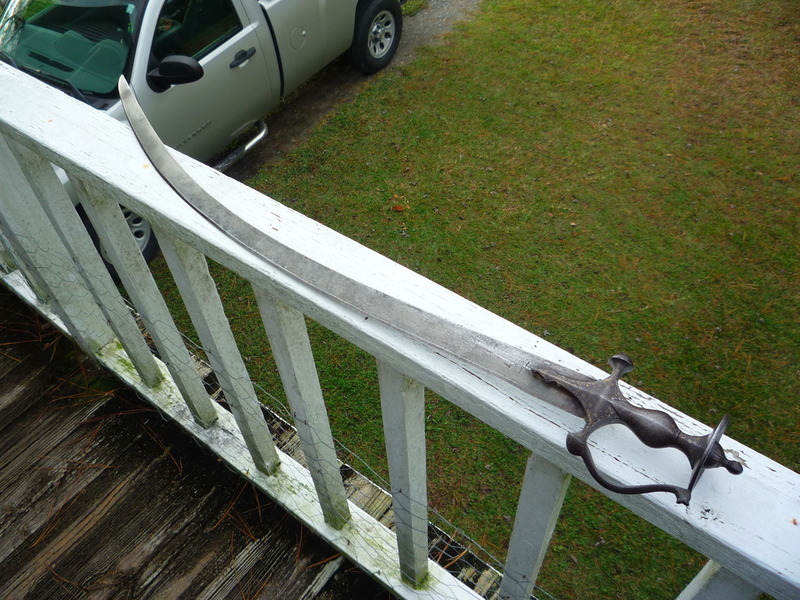 I bought this sword from Faganarms and their online reviews were positive. 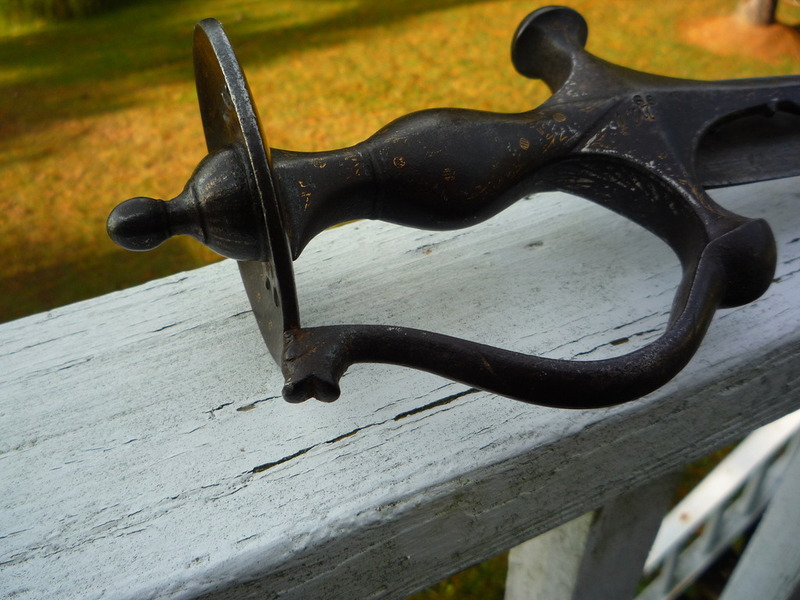 The tiger head on the knuckle bow was another indication. Basically I just went on the certificate of authenticity from Faganarms which states that the provenance is that it was obtained from the Frank Bowden Collection at Thame Park, Oxfordshire England. Basically, since I am a novice at sword collecting, I went on Faganarms' reputation and trusted in them. Maybe they sold me a fake? Why do you think it is not a Circle of Tipu Tulwar? If you can be specific, it would help me. If it is not what it was represented to be, I need to contact them. Thanks for your input. 32” curved blade of meandering pattern watered steel, with faint gold maker’s or owner’s gold seal attesting to its unrepolished surface. Arsenal number to the forte and a further crisp stamp mark, unknown to us in form or application. 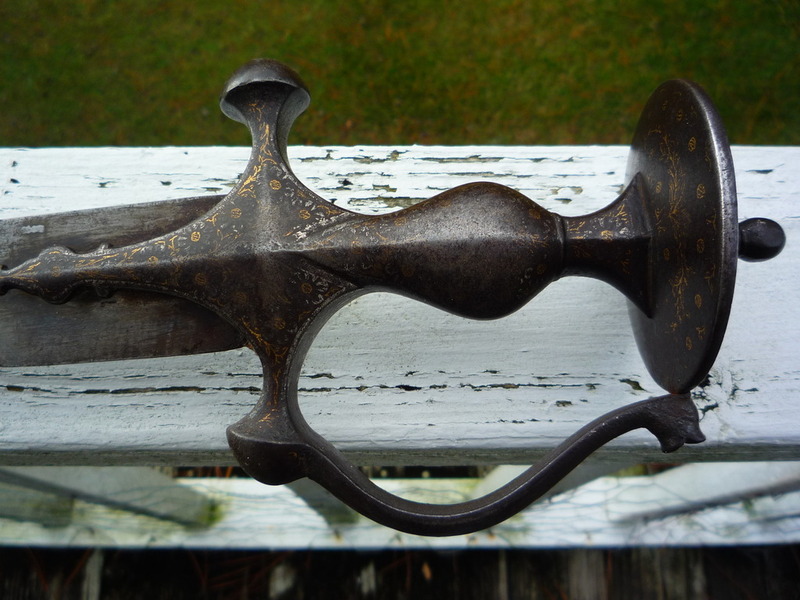 Iron hilt with swelled grip and large dished pommel. The recurved knuckle bow with fully modeled tiger head terminal. Decorated throughout in gold and silver koftgari foliage and bands, weak but uniform. The knuckle bow terminal, usually a tear form but commonly of “monster head” form, is clearly a tiger in this example. That form was iconic to Tipu which association was respected and avoided by others. Tipu, allied with the French in their quest for global conquest (the Napoleonic Wars). 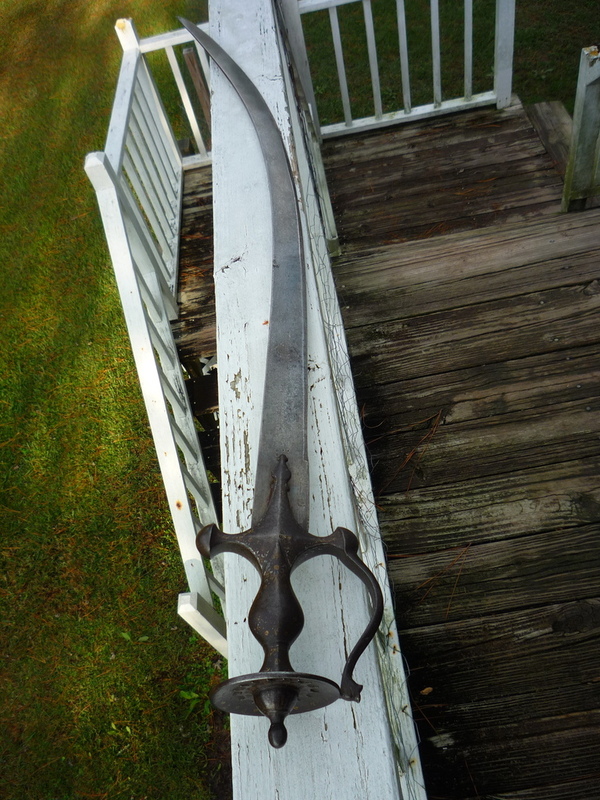 This sword was almost certainly captured at the Battle of Seringapatam in 1799, where Tipu fell mortally wounded and his troops were defeated, ending French adventurism in India. Doubly important for its Napoleonic context. Provenance: Collection of Sir Frank Bowden at Thame Park, Oxfordshire England, heir to the Raleigh Bicycle fortune.